Across the greater Omaha-Council Bluffs metropolitan area, there are hundreds of nonprofit organizations in need of volunteers, supplies, and monetary donations but lacking the resources to market their needs. 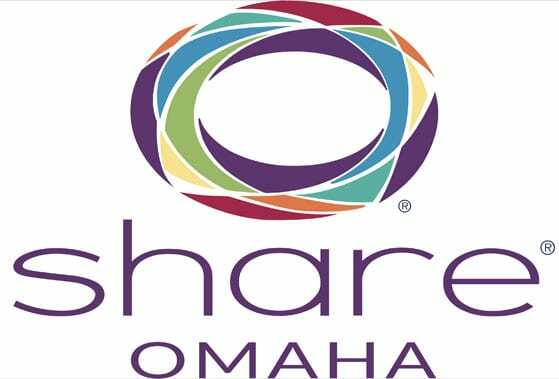 SHARE Omaha, a new online platform, plans to make volunteering easier by creating a one-stop-shop for community members to learn about and connect with local nonprofits. The initiative was set up after David Scott, board member of the Scott Foundation, saw the success of a similar program in Charlotte, North Carolina. Shortly after, three local foundations—the Suzanne and Walter Scott Foundation, the Sherwood Foundation, and the Robert B. Daugherty Foundation—put financial resources behind the idea to make it a reality. Similar to its predecessor SHARE Charlotte, Omaha’s platform uses the same branding, design, and technology to power its website. The launch of Share Omaha has been met with much excitement. According to executive director Marjorie Maas, the most common feedback she receives is astonishment in not having organized a similar venture before. For organizations lacking marketing budgets, the platform is an absolute gamechanger. Not only is it free for participating nonprofits, each day, the search results are randomized regardless of size, age, or cause. For new and smaller nonprofits that don’t have strong brand recognition, the process offers an opportunity to gain new supporters who may not have otherwise known about them. The website is relatively easy to use. Community members can select a cause they are interested in volunteering for, such as serving meals at the Siena/Frances House, managing social media for Bridge 2 Health, or serving as a board member for Arts in Motion. After selecting an organization, a potential volunteer completes a brief application and waits for a response directly from the selected organization. While there are other local organizations that promote donating and volunteering online for specific causes (think food banks or local hospitals), SHARE Omaha serves as the only digital hub where supporters can learn about nonprofits throughout the region. Organizations located within Nebraska’s Dodge, Douglas, Sarpy, Saunders, and Washington counties are eligible to apply. The service area also extends to the nearby counties of Pottawatomie, Harrison and Mills in the state of Iowa. In addition to being within the bi-state region, organizations must be registered 501c3 organizations and have an active website. Currently, churches, schools, and clubs are ineligible to apply since they typically benefit for loyal donor bases (e.g., congregants and alumni). However, fraternal organizations such as the Elks, Rotary, or Kiwanis qualify since their organizations typically engage members in supporting local community causes. Like other volunteer platforms such as VolunteerMatch and Create the Good, SHARE Omaha provides a central location for local organizations to recruit volunteers. Its defining feature by far is the ability to purchase items off shopping lists created by partner nonprofits. For instance, in the Shop for Good section of the website, a community member could click on New Visions Homelessness Services’ profile to purchase toilet paper from Walgreens or socks from Target. Another unique feature is the integration of nonprofit events within the platform. Galas, educational workshops and summer camp opportunities offered by participating nonprofits are listed on the website’s calendar. Since launching last week, SHARE Omaha has more than 200 partner organizations listed on the website with more expected to join soon. To encourage participation, the organization has kickstarted its #SHAREitForward social media campaign, in which participants are challenged to select a nonprofit, make a pledge to donate or volunteer, and then challenge three (or more) friends to join in. Nebraska’s activist landowners and conservationists might have lost a battle, but they vow the war against the Keystone Pipeline is far from over.